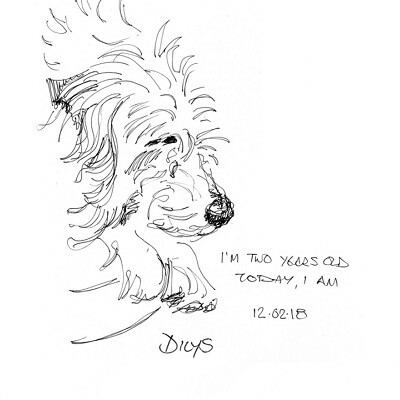 Dogs in Ink is, well, just that…..original portraits and caricatures of dogs hand drawn in ink. Chris Green produces commissioned work starting from a photograph, making a simple pencil outline sketch and gradually building up the detail with black ink on cartridge paper or producing caricatures by drawing live and producing an immediate image. His genuine love of dogs shines through, producing images that capture the spirit, quirkiness and personality of each dog.